1) If you have the means, use long, rectangular farm tables. 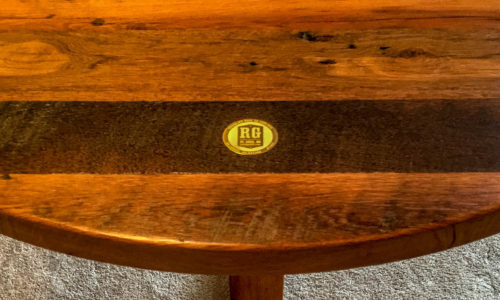 Rustic Grain has gorgeous farm tables http://rusticgrain.com/gallery/, which are currently available in the St. Louis area and will hopefully be available in the Northeast through the Nantucket Tent Company this summer. 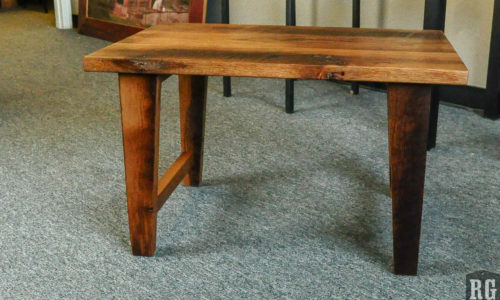 You want to use tables that have a worn but refined look and are 39’’ to 42’’ wide in order to have enough room for all of your décor elements. It is also important to choose tables with even edges so the tables can be placed end to end to form 14-18 foot long tables. 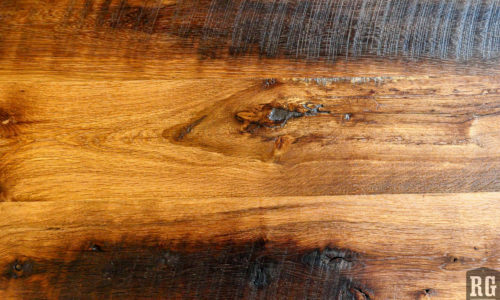 I love Rustic Grain’s tables in particular because of the rich color of the wood, the unique history behind each piece http://rusticgrain.com/about/, and the detailed craftsmanship. 2) Use lots and lots of candles. I like to mix white or ivory votive candles (which can be found for about $1 each here http://www.candles4less.com/54-Pc-Wax-Filled-Glass-Votive-Candles-Bulk_p_176.html) with 10”’ to 12’’ non-drip tapered candles (the non-drop element is important in order to ensure that your table’s surface is not compromised by hot wax). The glow from the candles will create an unmistakable warmth and the flicking candlelight will make your guests feel cozy no matter what the time of year. 3) If you are going to use a table runner, choose a delicate lace over burlap. Lace runners, like the ones we used a wedding at Blue Hill at Stone Barns this summer, add a touch of elegance and a vintage feel. I found these runners at Vintage Affairs Party Rentals http://vintageaffairs.net/, a great specialty rental store based in Maryland that will ship its décor items all across the country. I try to avoid burlap runners because burlap is a thicker fabric and if décor items or wine glasses with a narrow base are placed along the edge they may fall over if the table is accidently bumped. 4) Choose flowers that are in keeping with the overall aesthetic and (ideally) are in season. For a more traditional farm-style look I prefer to avoid flowers that are too formal (like red roses) or modern (like orchids). However, do not feel as if you have to limit yourself to flowers such as Black-Eyed Susans or Poppies which fall within the wildflower category. For a spring wedding, I would suggest using Freesia, Garden roses, Tulips, Peonies, Cherry blossoms, and Ranunculus because they are typically in-season and can be arranged in a variety of manners depending upon the desired formality. 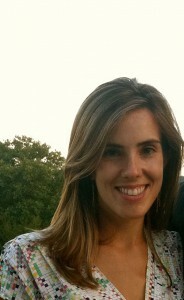 After graduating from Georgetown University in 2007, Natalie Trento first gained event planning experience at Brides Magazine where she had the privilege of working with incredible brands such as DeBeers, Pronovias, and Sylvia Weinstock Cakes to create fun-filled parties for Brides readers. Natalie also worked full time with various nonprofit organizations in New York and Los Angeles, including Affordable Living for the Aging, for whom she has coordinated fundraising galas, elaborate dinner parties, and grand opening celebrations. In 2011, Natalie was hired by Fete, one of the premier event design firms in the country, to coordinate one-of-a-kind weddings, parties, and corporate events for high-end clientele. At the urging of her friends and clients who were looking for customized planning services at various price points, she founded Natalie Trento Events. Natalie is best known for her calming and thoughtful nature, her beautiful and unique events, and her attention to even the smallest details. Based in New York, New York and Philadelphia, Pennsylvania, Natalie Trento is the owner & principal event planner and designer of Natalie Trento Events. Natalie Trento Events is a boutique wedding planning company based in New York City and Philadelphia, PA. Our passion is wedding planning and design and we work closely with couples to create unforgettable, personalized, one-of-a-kind weddings. We understand that incredible weddings need more than just great design. Through thoughtful planning, we cultivates experiences that integrate beautiful design with fabulous dining, music, entertainment, and fun surprises. Utilizing creative elements and unique touches, Natalie Trento Events leave a lasting impression. We understand that each wedding and couple is unique so we offer a range of custom packages based upon individual needs. Our service include complete wedding planning and design services, partial planning, as well as day of wedding coordination. Feel free to contact us at natalie@natalietrento.com or visit our website www.NatalieTrento.com for more information.